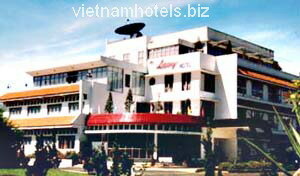 Two star hotel - Lavy Hotel with the most beautiful panorama solicitous and thoughtful services, reasonable price. Located in the heart of Lam Dong province, and equipped with all modern facilities in each bedroom. Solicitous and thoughtful services, reasonable price. Two star Hotel with the most Beautiful panorama. Popular cocktails and various kinds of famous wines to the accompaniment of musical melodies.